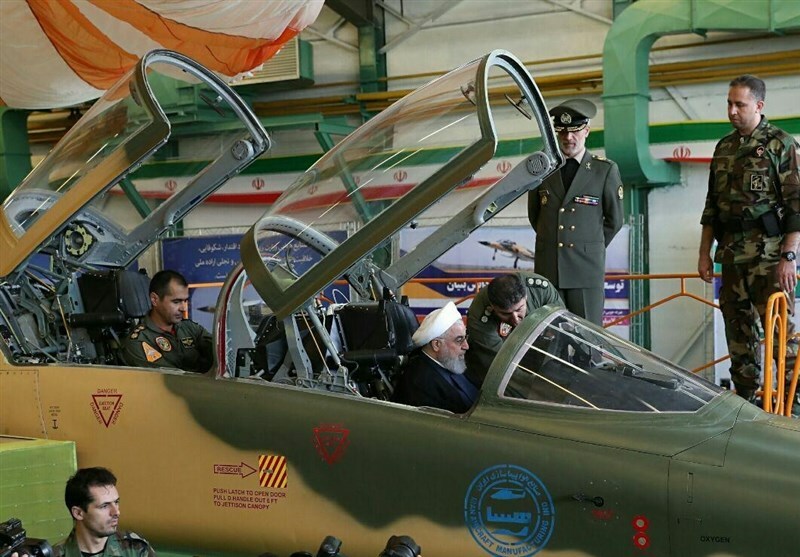 On August 22 Iran’s news agencies showed President Rouhani in the cockpit of a multirole fighter called the “Kowsar.” The occasion was meant to promote the local aerospace sector for “National Defense Industry Day.” But the Kowsar got ridiculed across the internet when it was correctly identified as a US-made F-5 fighter that’s among the oldest airframes flown by Iran’s air force. This didn’t keep state media from hailing the “homegrown” jet for its “advanced radar system” and “military data networks.” Because of its two-seater cockpit, the Kowsar shared a strong resemblance to the F-5F Tiger II although it’s claimed a single-seat variant can be built. Iran now joins a select club of Asian countries–Singapore, South Korea, Taiwan, and Thailand–who’ve kept their F-5’s in flying condition. The unveiling of the Kowsar happened days after Iran’s navy claimed it had a new anti-aircraft gun copied from the Phalanx CIWS and a week since Iranian news promoted a ballistic missile that was just an improved variant of a Fateh battlefield rocket. This followed the successful debut of the Fakour air-to-air missile based on the US Phoenix missile designed for the F-14 Tomcat. If a pattern is beginning to emerge, it’s the reliance of Iran’s state-owned companies on either improving or reverse engineering existing weapons. This practice stems from Iran’s inability to acquire weapons from abroad because of sanctions. But always trying to build what the military needs is fraught with problems for Iranian companies. When the Kowsar was criticized as a dubious airframe some of its defenders on social media claimed its avionics were the real highlight since these parts are meant for an upcoming light fighter/trainer hybrid. Unfortunately, Iran’s track record of manufacturing aircraft–and many other kinds of hardware–is dismal and its aerospace sector has more experience with maintenance, repair, and overhaul. Recall when a single-seat fighter named the “Saeqeh” entered production in 2006 but to this day its status with Iran’s air force is unknown. It didn’t help that the “Saeqeh” was a modified F-5E with a new tail section. Another derivative called the “Azarakhsh” received a lot of hype but is no longer publicized. Of course, the world would rather forget about Iran’s bizarre attempt at a fifth-generation stealth fighter. The inability of Iranian companies to build these “products” in sufficient numbers means whatever is hyped by local media is fake modernization. When the regular armed forces, known as the Artesh, and the IRGC conduct exercises their equipment remains either leftovers from the Shah’s reign and the Iran-Iraq War or copies of Soviet weapons. This disproves the hyperbole coming from Iranian news on technological “breakthroughs.” Hilarious examples from the past three decades span defective assault rifles to fake tanks and bogus helicopters. As for the Kowsar, there’s little proof that dozens are scheduled to roll out of HESA’s factories soon. With hundreds of Western third and fourth-generation jets scheduled for delivery to GCC members in the 2020s, the Kowsar adds nothing to Iranian deterrence, which explains why the IRGC control a huge ballistic missile arsenal. But rumors of an upcoming “light” jet continue to float around online and Tehran may have sought assistance from abroad for its development.